Richard Heinberg is an American journalist and author that has dedicated most of his writing career to environmental causes. His most notable works include publications such as, The Party’s Over: Oil, War, and the Fate of Industrial Societies (2003), and Powerdown: Options and Actions for a Post-Carbon World (2004). Just from the book titles alone, an astute reader can gain a sense of Richard Heinberg’s environment angle. 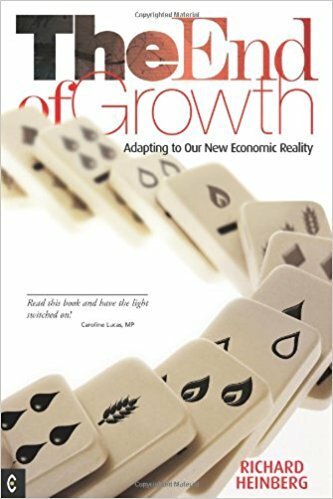 Indeed, there is a common thread that flows throughout his body of work and which is probably best exemplified in the book we are reviewing here: The End of Growth: Adapting to Our New Economic Reality (2011). In a nutshell, Heinberg’s thesis is this: Global economic growth as we have become accustomed to over the past century or so is “…over and done with” (page 1). When talking about “growth”, Heinberg is referring here to the overall size and expansion of the economy, i.e. an increase in both consumption and production (ibid.). So how come? Why will there be no more economic growth? Throughout the book Richard Heinberg builds his argument on three main assumptions. First, the depletion of natural resources (fossil fuels & minerals). Secondly, the negative environmental impact of exploiting resources (e.g. Deepwater Horizon, the BP oil spill disaster). And thirdly, the ‘financial disruptions’ caused by our defective banking and regulatory system and its inability to deal with both “resource scarcity and soaring environmental costs” (page 2). For these three main reasons, historical records of economic growth are no longer sustainable in the future. Let’s turn slightly to the structure and content of the book. “The End of Growth” is well-written and thoroughly researched. From the onset, it becomes apparent that the author has a wealth of experience and knowledge of the subject. Indeed, Heinberg spent over two decades examining and writing about environmental issues and this clearly shows throughout the book. The book is structured around seven main chapters. The first two open the discussion with a more generalised debate on historical economics and the influences of both Marxist and capitalist ideology in shaping the current state of global macroeconomics. Heinberg also talks about the financial crisis of 2007/8 and how the actions of the Federal Reserve (like Quantitative Easing) are akin to a “Ponzi Scheme” that could ultimately lead to rising interest costs and even currency failure (page 75). Chapters three and four turn towards the environment and the limitations of earth’s natural resources. Economists and experts in the field have largely ignored the obvious: natural resources are finite. As they become increasingly scarce, the race and exploitation in finding them will have dire consequences on the environment. The BP Oil Spill is given as a clear example of how petroleum companies need to search in deeper and more dangerous areas to find oil. Heinberg goes through all the major natural resources and explains their limitations, including, Oil, water, food, and metals. In chapter four Heinberg remains sceptical that new technologies and innovations will be sufficient to promote growth and stop climate change. He asserts that, “Civilisations advance human knowledge and technical ability, but they also tend to generate levels of complexity they cannot support beyond a certain point. When that point is reached, civilisations decline or collapse” (page 187). Chapters five and six move the discussion toward a more international dimension. Heinberg effectively sees China’s recent economic growth as a “bubble” (page 190). A bubble that is overwhelmingly dependent on favourable age demographics and a reliance on coal as a primary energy source. Chapter 6 talks about how ill-equipped our current geopolitical system is to both adapt and succeed in a post-growth, contracting economic climate. Finally, chapter seven concludes with an explorative study in how society (especially civil society) can adapt and grow in a post-growth world. In short, Heinberg believes that organising and local community initiatives will have a crucial role to play. 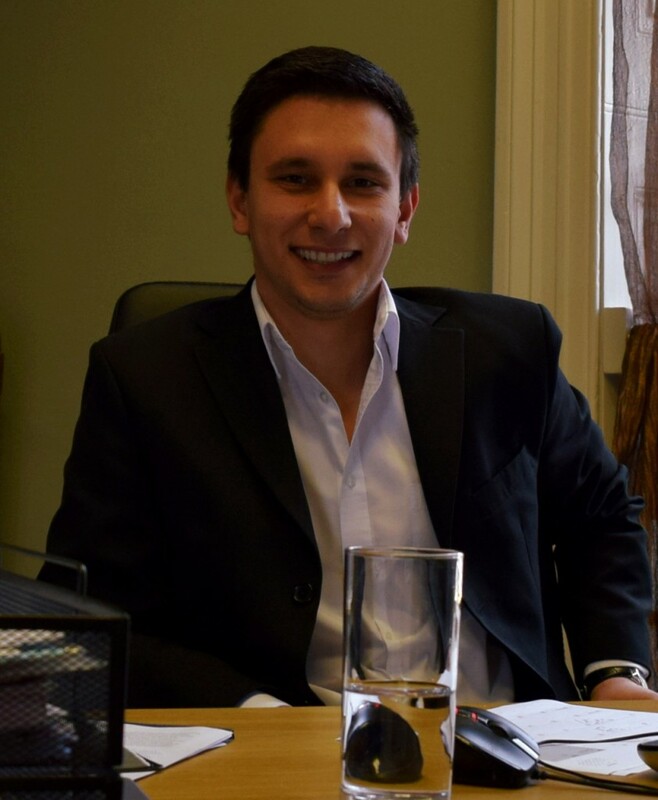 He speaks about “Transition Towns” and “Common Security Clubs” where “The work of local groups should include the sharing of practical skills such as food production and storage, home insulation, and the development and use of energy conserving technologies.” (page 270). At the end of the day, Richard Heinberg’s “The End of Growth: Adapting to Our New Economic Reality” remains something of a paradox. On one hand, the core of his message rings very true: we are consuming and abusing resources that are by definition, finite. On the other hand, it feels like the book is too pessimistic and sceptical – it underestimates the power of new and innovative technologies and overemphasises the negative impact of consumerism. For instance, his analysis on electric cars in Chapter four (page 159) is superficial at best. Heinberg fails to consider the rapid advancement in battery technology and their ability to store power. Readers in search of a gloomy, sceptical analysis on the future of the environment and economic growth should pick up this book. Those seeking a more balanced account should look elsewhere. “The End of Growth: Adapting to Our New Economic Reality” was published in 2011 by Clairview Books (ISBN-10: 1905570333). 231pp.